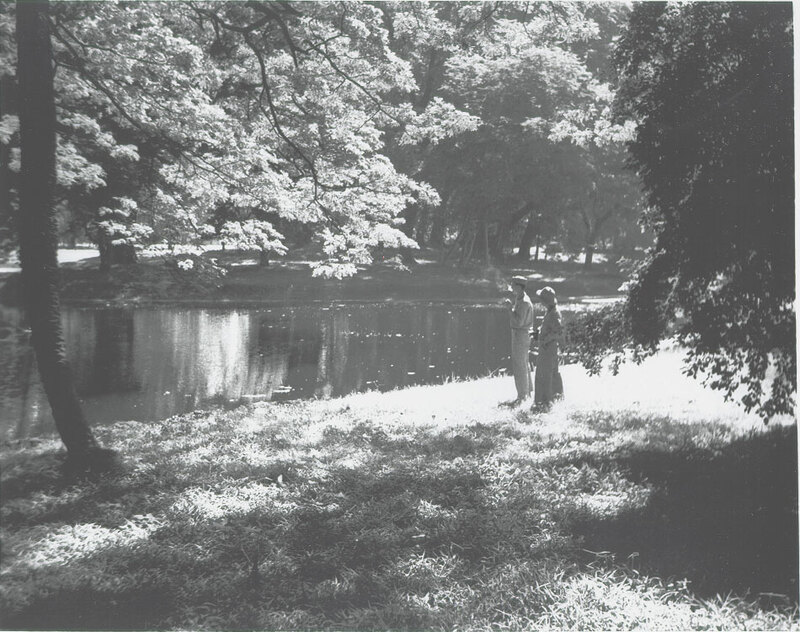 Here is a view of the Botanical Garden of Shibpur as it was in 1944. Established in 1787 by Lieutenant Colonel Robert Kyd, this garden is situated on the west bank of the river Hooghly (Ganga). The credit for the foundation of the Garden is generally given to Colonel Robert Kyd (1746-1793), a Secretary to the Board in the Military Department of Fort William who was also an amateur botanist. The official name of the Garden during the Company’s rule was ‘The Hon’ble Company’s Botanic Garden, Calcutta’, subsequently, it was renamed ‘The Royal Botanic Garden, Calcutta’ in the early 1860s. This amazing garden is laid out on a sprawling 272 acres of lush greenery on the outskirts of the city of joy. Over 12,000 trees and shrubs belonging to 1400 species together with thousands of herbaceous plants are in cultivation in the open in 25 Divisions, Glass houses, Green Houses and conservatories. The best-known landmark of the garden is The Great Banyan, an enormous banyan tree (Ficus benghalensis) that is reckoned to be the largest tree in the world, at more than 330 metres in circumference. They are also famous for their enormous collections of orchids, bamboos, palms, and plants of the screw pine genus (Pandanus). More .. The photograph was taken by Glenn S. Hensley in 1944. This entry was posted in Uncategorized and tagged Botanic Garden, botany, calcutta, company's botanic garden, garden, Great Banyan, robert kyd, royal botanic garden, shibpore, shibpur, sibpore.